The artistic realm is under a constant state of flux with new artists creating unseen genres everyday. 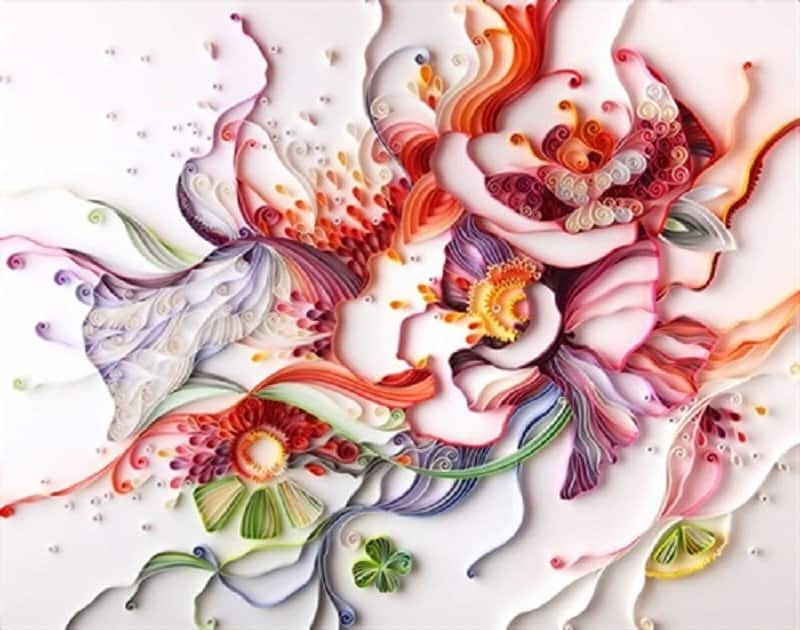 Yulia Brodskaya is a famous artist who masters in creating something known as paper art. 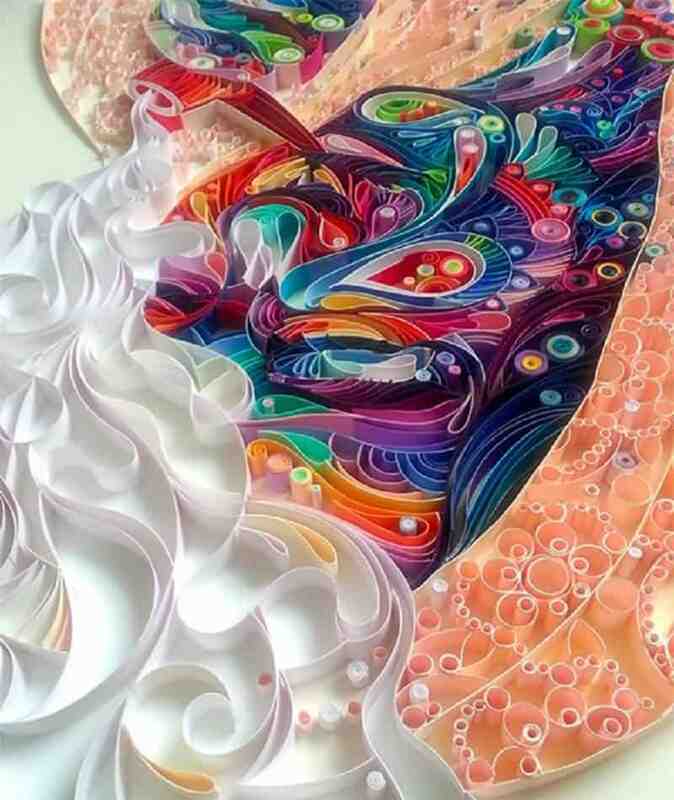 In this beautiful and complex art form, he creates elaborate works using nothing but colored paper that is folded, cut and glued in different ways. This gives his work a unique appeal and adds a sense of surrealism to his art. 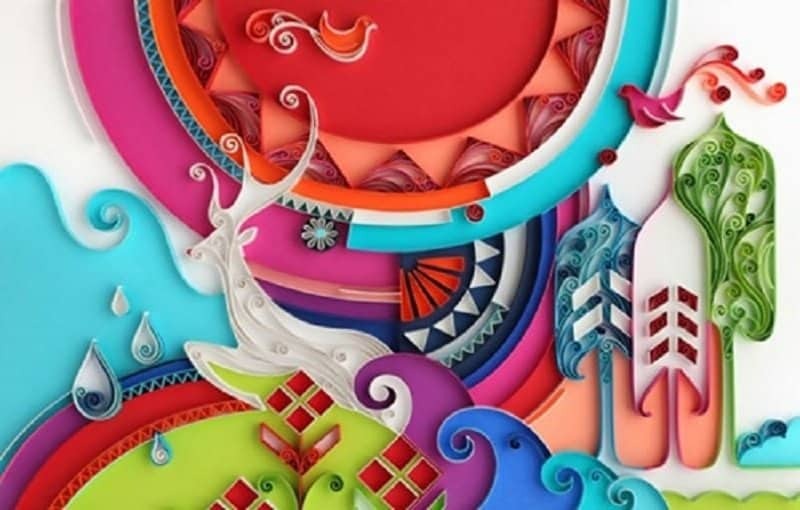 He has made many stunning works using paper art and this list features 10 of the best of Yulia Brodskaya. 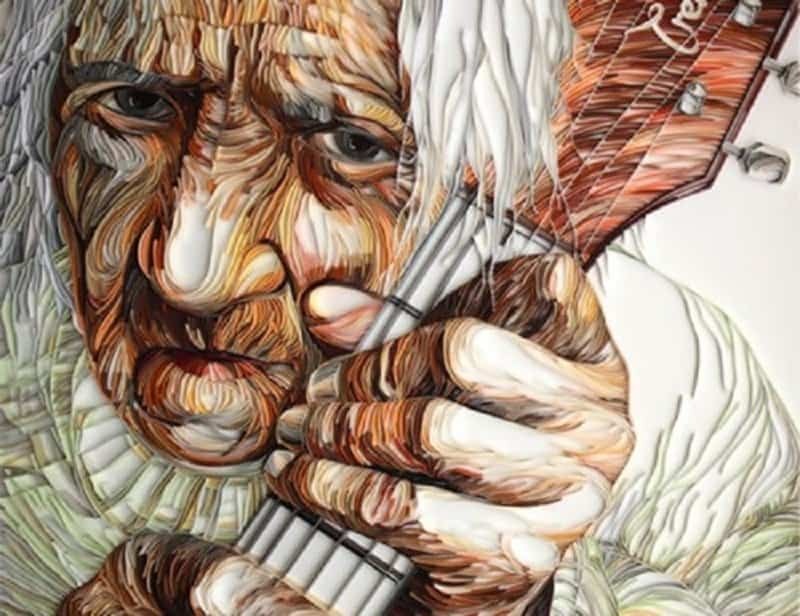 This stunning piece of an elderly man holding a stringed instrument close to his famous is one of Yulia’s best works. The expression on the man’s face really makes this piece stand out. 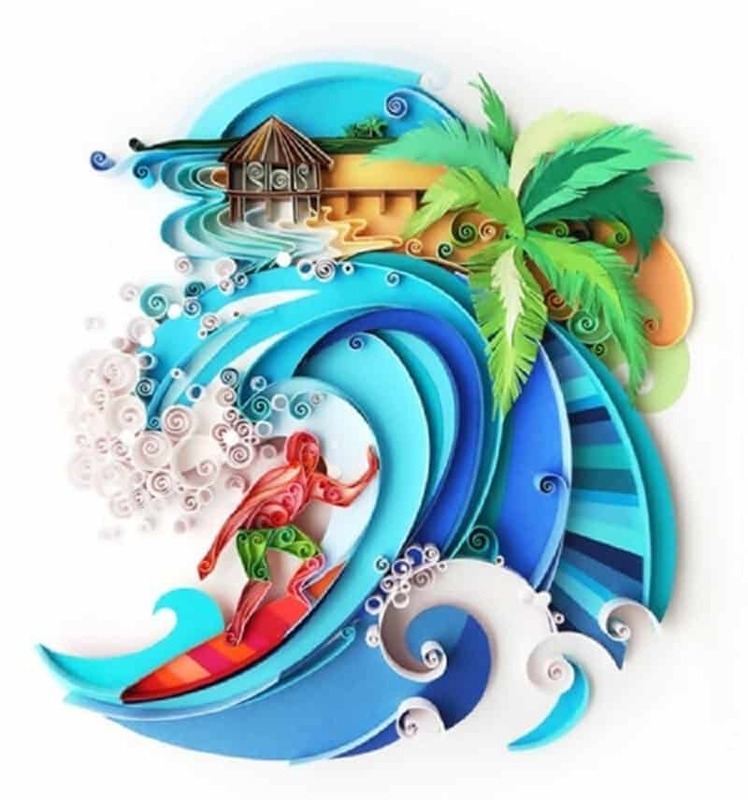 This light and colorful piece includes all the elements that make for a great day at a beach. 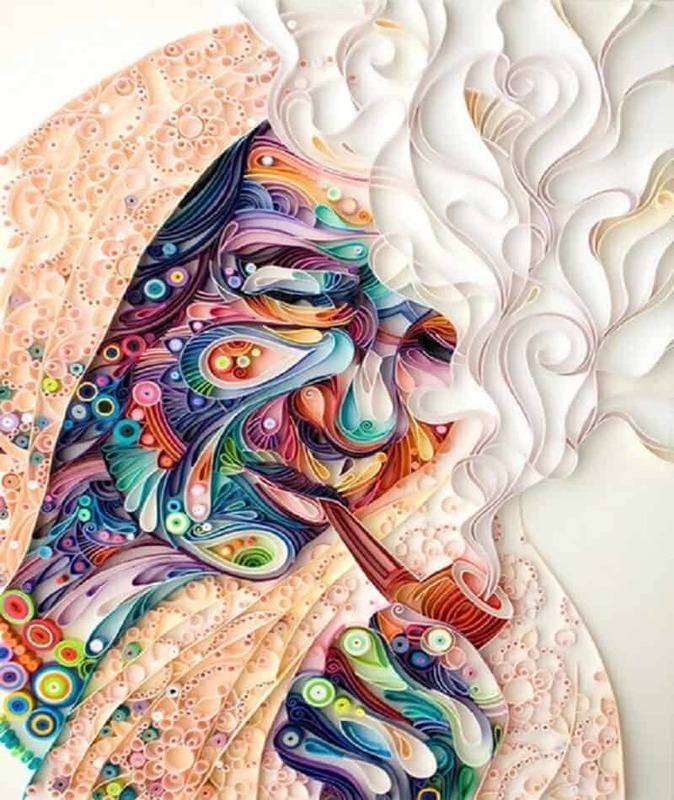 This gorgeous piece features an elderly, and highly colorful lady smoking a pipe. The colors and textures on her face bring this piece to life. This powerful piece brings out several connotations based on the perception of the viewer. 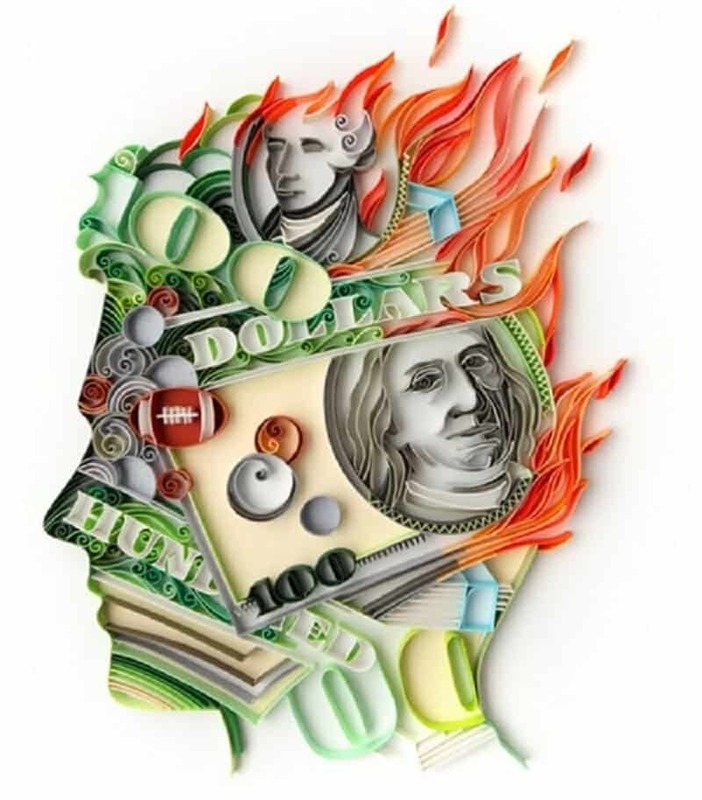 We see it as a piece that highlights the diminishing intellect in modern society, perpetrated by our incessant quest for monetary pleasure. The intensity of the colors and the patterns used in this piece looks as if the artist was trying to show the bludgeoning on a set of flowers. 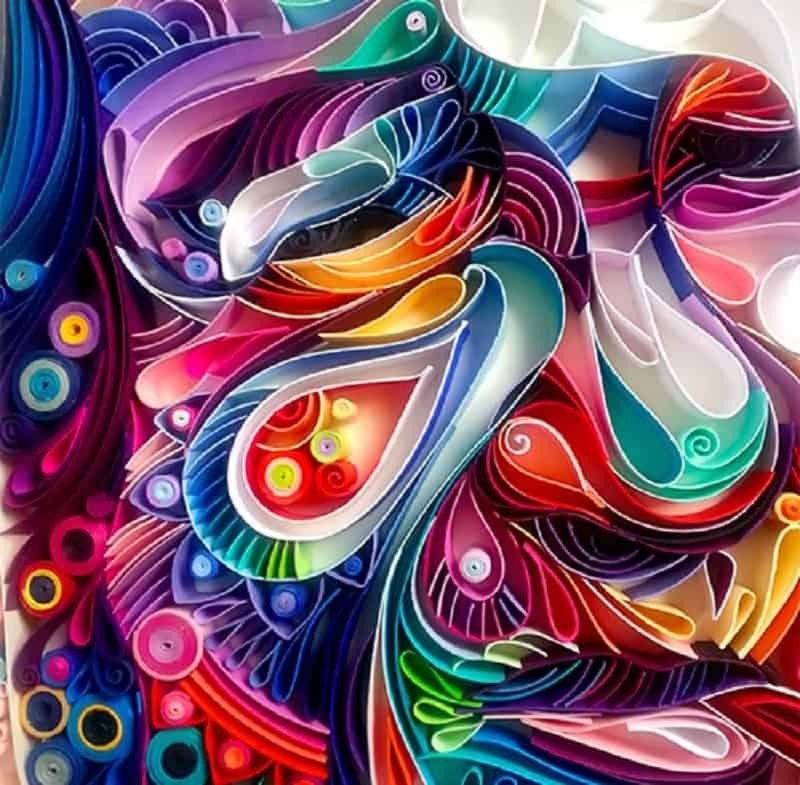 This abstract piece looks stunning due to the different colors and patterns of paper used to create this work. 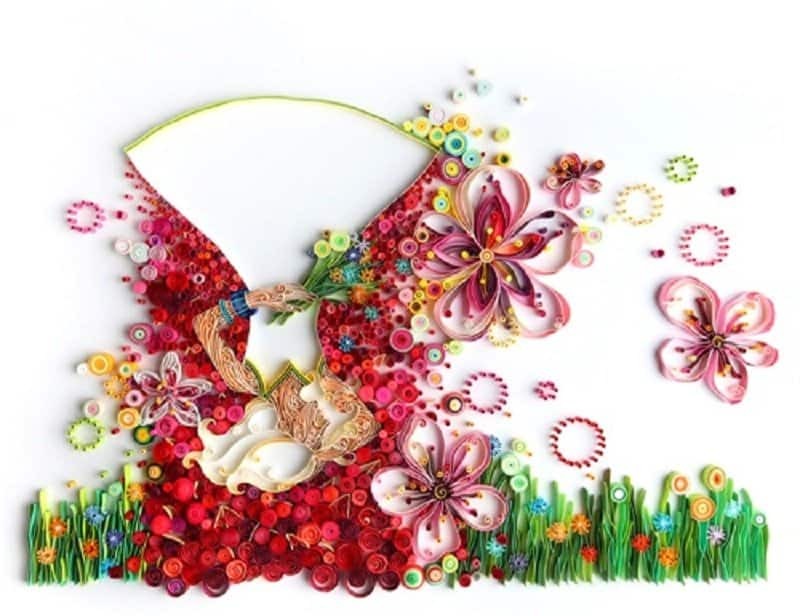 This beautiful piece makes it seem as if a woman and nature were one entity. This is another tribute to the sun, wind and waves found only at a beach. This beautiful piece uses complex shapes, colors and patterns to create a unique face with a puzzling expression. 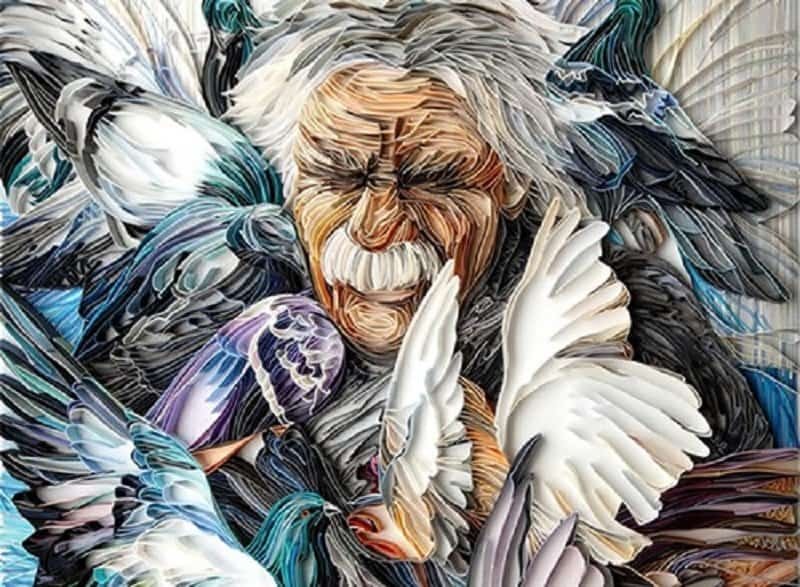 An elderly man appears to be taken in by a flock of angels in this thoughtful piece.